Born on the second Seder of Passover 1925, Sara Rosnow was fifteen years old when the Soviet Union occupied Eastern Poland where her home town of Zdzięciol with its vibrant Jewish community, known in Yiddish as Zhetel, had thrived. Her family took pride in its liberal Bundist leanings, and young Sara completed her primary education at her beloved Yiddishe Folk Schul. When the region was annexed by the Soviet Union in September 1939, Sara eagerly enrolled in the local Russian Gymnasium with high hopes of becoming an aeronautical engineer. 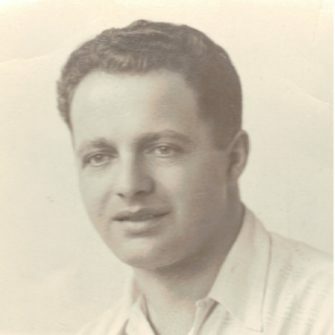 Sara’s father, Chaim Michoel, a principled, hardworking man, had instilled in his devoted daughter a love of mathematics and logic. During the Soviet occupation, he taught himself bookkeeping and rose through the ranks to become a supervisor in the region’s state-run bakeries. The German Occupation in June 1941 put “a twist in the destiny of life,” and Sara’s youthful dreams were dashed. On July 23, 1941, 120 members of Zhetel’s intelligentsia were rounded up in the marketplace and supposedly taken to a work camp. The remaining Jews sent precious food and clothing to their needy family members, not realizing until much later that those captured had been forced to dig their own graves a few miles away before being murdered at point-blank range. Sara’s father, whose name was on the list, hadn’t been at the gathering place when his name was called because of debilitating chronic bronchitis. The soldier who came looking for him passed over him, callously assuming he would die at home. The remaining Jewish population was confined to a ghetto in February 1942. The able-bodied Jews, with assignments made by the Judenrat, were forced to work outside the ghetto. Sara performed menial jobs for a butter-maker. On April 30, a date Sara remembered clearly as it fell the day before the beautiful May Day holiday, 1,000 Jews were slaughtered. That morning the Jews were made to gather at the Jewish cemetery and put into one of two lines. Dauntless Sara, quickly surmising that her parents, younger brother, Maeshe, and grandmother were in the wrong line, confronted an SS officer with the fact that her father had a work certificate. Many men in the line insisted that they were her father when they overheard the teen with the soldier. Sara heard someone shout, “If you don’t watch out, you’ll get killed because of your parents.” In the end, Sara’s parents and brother were spared along with Sara and her older sister, Mira. The Rosnow family then watched in horror as their helpless grandmother, Bubbe Henye, was ruthlessly pulled away and clubbed to death. When the ghetto was liquidated in August 1942, Sara and her family hid in separate places as the secret dugout under their house was too crowded. In shock, or because of a fear of being discovered, Sara and Mira did not answer when their desperate father, risking his own life, came by their hiding place to assure himself that his daughters were safe behind the double wall at the back of the chicken coop. 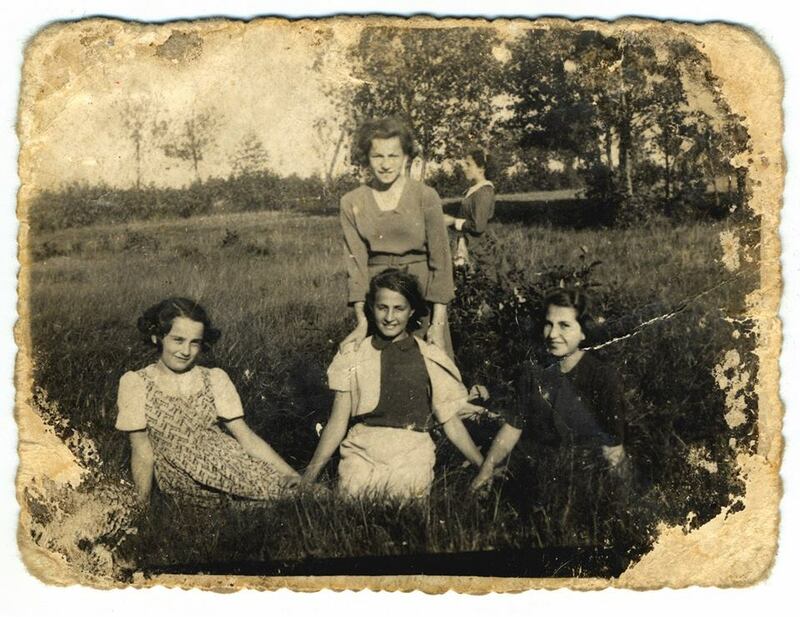 After four nights, the sisters left the now desolate ghetto and walked eight miles to the work camp of Dvoretz, where they were eventually reunited with their parents and younger brother who had hidden in a nearby forest after leaving the ghetto. Approximately six weeks after the Rosnow family’s arrival at Dvoretz, two Jewish Partisans showed up at the camp in search of a doctor to join them in the forest. The doctor, who had a bed to sleep on, would not leave. 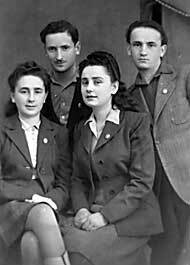 But Sara, who by that time was starving, recognized the young men and demanded to go with Mira and them to the nearby Lipiczanska forest where they were to join the Zhetler Battalion of Jewish Partisans headed by Hershel Kaplinski. “You’ll have to take me with you or shoot me,” Sara emphatically told the Partisans. For a spirited young woman, fleeing to the forest was initially liberating. On the first night, Sara yanked off her yellow star and sat down by the light of the full moon to eat a big piece of saved bread. But hardships began immediately as Sara and her sister waited to see if the Partisan group would accept them. Although safer in the group, forest life was far from easy for the ill-equipped Zhetlers. The winter of 1942-43 was bitterly cold and the German army swept through the Belorussian forest in an all-out offensive against the Partisans. 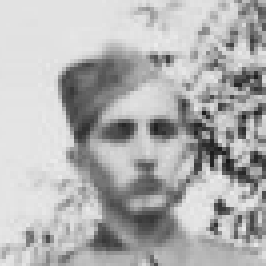 Two Jewish commanders, Dr. Jechezkiel Atlas and Hershel Kaplinski, were killed, leaving the loosely-banded surviving Partisans to fend for themselves. In order to not be detected by the Nazi soldiers as the “oblava” raged, the Partisans had to disperse, hide in fallen trees, and keep moving through swampy inner areas under the cover of darkness. Early on, Sara lost her coat when she fell asleep by a campfire and it burned. For a few days when Sara and her sister were hiding in tangled roots of a fallen tree, they were so close to the German soldiers that German grenades were being thrown directly over their heads. Although plagued with frostbite, hunger, scabies, and lice, this unflinching young woman was determined to maintain her integrity and not become a liability to the Partisan group. She washed laundry for 100 Partisans and did her best to carry back to the underground family shelters (the mayak) food foraged from nearby farmers. Sara and Mira had insisted that their parents and brother be able to join them in the forest and they, along with other weaker family members, stayed in the mayak. Sara’s father and Maeshe would do nighttime hikes to nearby villages to obtain much needed provisions. Sara, herself, developed greater stealth on her forest treks after a kind-hearted Russian soldier rebuked her for carelessness with her own life, before transporting her safely to her destination, when he spotted Sara carrying a thermometer for her family during dangerous daylight. Devotion to her family’s survival, and domestic support of the Partisan group, were not enough for this bold young woman who had been forced to relinquish her budding hopes and dreams. Sara was determined to contribute to the war effort. With this mindset, the audacious adolescent begged her commander to allow her to become the sole female member of a group of Partisans who planned to dynamite a German train route that transported supplies to the front. She was given a stick of dynamite, matches, and a rifle, handed to her without any training on how to use it. She joined eleven men, during a night of pelting rain, on their treacherous mission to blow up the train tracks. Courageous Sara became an overnight heroine when she refused to leave her spot by the tracks–even while being implored to give up and retreat to safety–until she was able to light her own water-soaked dynamite stick. After finally reaching a safe distance from the explosions with just moments to spare, Sara counted the dynamite blasts and was satisfied that her own was among them. Later when recounting the experience, she would wonder, with a wry smile, how the war could have ended without her contribution. After her valiant effort, the Russian Partisan commander took notice and invited this attractive young heroine to become his mistress. Her polite refusal of, “Let’s see how we feel about each other after the war,” earned her expulsion from the Partisan group, a low point for Sara where she admits to nearly losing her hope and her will to survive. “They weren’t all saints in the forest,” Sara would remark in her understated way. She acknowledged that to not be with a man, who could act as protector and guide, made life in the forest more difficult for young female Partisans. Yet during a time when destiny “was playing itself out” with few positive options, maintaining her moral dignity was a choice this strong-willed young woman could make. After the thawing of the harsh first winter in the forest, life became easier. Again Sara, the intrepid fighter, needed to show that she could perform life-saving tasks alongside the men. On a back-breaking three-mile trek with a sack of potatoes she insisted upon carrying back to the family mayak as proof of her fortitude, Sara ruptured her bronchial lining attempting to twist with the heavy load, and developed a nearly fatal bout of pleurisy. Weakened physically after miraculously recovering from her illness, and recently bereaved by the loss of her mother, Chana Rashke, who had been murdered by local police when they invaded the family mayak in May 1943, Sara was relieved to join the well-organized Bielski Partisan group in the last few months of the war. But the war had taken its toll. After liberation in September 1944, Sara described feeling numb and depressed, not celebratory. “We picked up our bundle of rags and we walked home.” But home had been devastated, and Sara tried to imagine what she would do with her independence, how she would start her life now. Feeling compelled to care for her father, Sara went to Novogrudok, to the family home of her sister’s husband, and stayed by the side of her gravely ill parent until he died. After his death, Sara left for Lodz, Poland, where there had been a large Jewish population before the war. In 1946, Sara joined her siblings in a Displaced Persons Camp in Bad Gastein, Austria. She stayed there until April 1947, when she, Maesha, and other young survivors travelled to Munich, Germany to enroll in the Technical University (the Technische Hochschule). At the University, Sara resumed her science-based coursework in chemistry. Driven to complete her interrupted European education, Sara graduated from UC Berkeley with a B.S. degree in Business Administration before she had even mastered the English language. Twenty years later, she returned to school and completed a Master’s degree in Counseling. While raising her children, Sara worked as the bookkeeper for her husband’s growing physical therapy practice. When her children left home, she took a fulfilling position as a fine art dealer in a San Francisco art gallery. 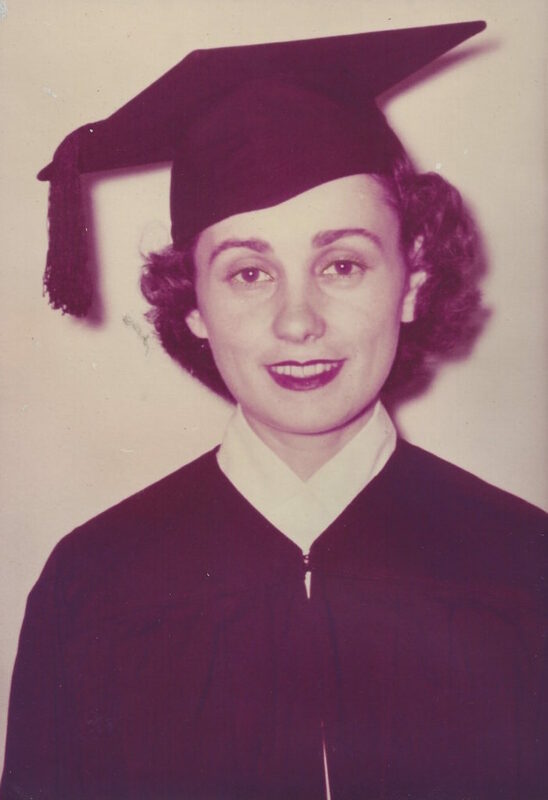 Creating a family, completing her education, and reawakening a capacity for joy became her ultimate resistance to the horrors of the Holocaust. 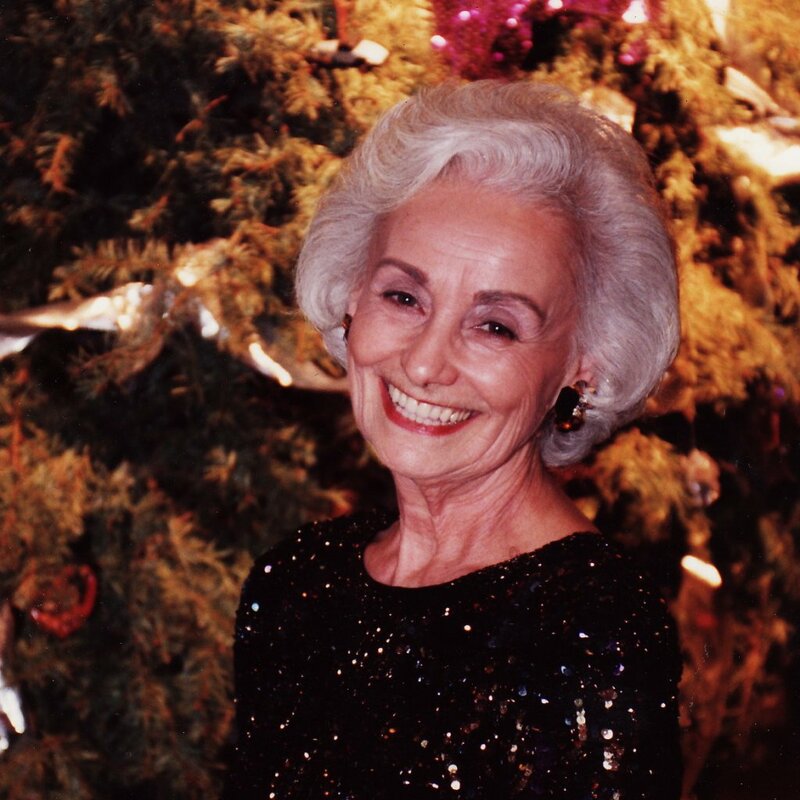 Sara Rosnow passed away peacefully on February 19, 2017 after a life of hoping, giving, and loving.